And the winner is...Elisza T! Elisza, I've forwarded your info on to Maile from Boutique Academia and she will be hearing from her soon. Thanks so much to the rest of you for entering! If you're not the winner of The One Ring giveaway, the good news is you can order your own. Just stop on by Boutique Academia. 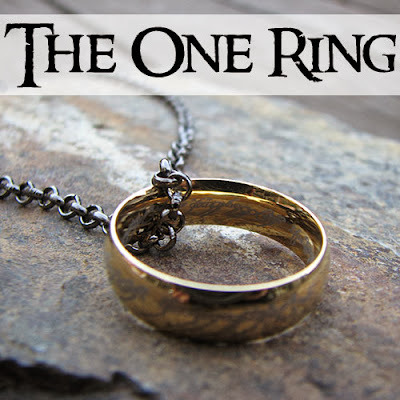 This would also make a great gift for yourself or the Lord of the Rings fan in your life. And while you're at Boutique Academia, don't forget to check out all of her other unique math, science, and geek related pieces.